Sandy joined the firm in 2002, after successfully running her own business for 7 ½ years. She is responsible for the organization and coordination of all office operations and procedures, thereby ensuring the smooth functioning of the firm. She supervises the support staff and oversees the daily functions within the office while assisting with several case files. Sandy was a member of the Emerald Coast Chapter of the American Business Women’s Association for 17 years, served as their past President in 1996, and was elected to serve as their Chapter Woman of the Year in 2012. She was past Treasurer of the Okaloosa County Commission on the Status of Women and participated in the organization and establishment of the “Suit up to Move up” program offered through the OCCSW and The JobsPlus One Stop Career Center. Tammy joined the firm in 2006. She is a graduate of Culver-Stockton College in Canton, Missouri with a B.S. in Criminal Justice. Her duties primarily consist of assisting in the preparation and review of various legal documents, including, but not limited to, Living Revocable Trusts, Wills, corporate documents and deeds. She also maintains and updates various forms and publications used by the firm. Judy joined the firm in 2014 and brings with her, 20 years of mortgage and loan experience. She primarily works on preparation of the Wills, Trusts, Deeds and various supporting estate planning documents. Simone joined the firm in 2015. She brings with her, 2 ½ years of legal experience working for a multinational law firm in Germany. Her duties consist of assisting the attorney with preparation of Probate and Trust Administration documents, as well as, all litigation documents, and filing pleadings with the court. 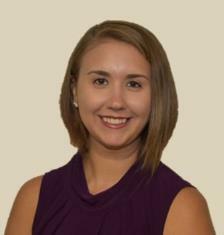 Lillie joined the firm in 2017. She brings with her 4 ½ years of bookkeeping and banking experience, which involved opening Estate and Trust bank accounts. She performs a variety of tasks to support the firm’s day-to-day functions, including answering the phone, scheduling appointments, client correspondence, file maintenance, and recording documents with the court. She is also responsible for directing all of the firm’s inquiries to the proper recipients.